Don’t Start Me Talking comprises some of the finest poetry written in Australia. Paul Kelly’s lyrics illuminate the way we live, sometimes with a haunting and savage intensity, sometimes with humour, always with a lightness and simplicity that belies the complexity of the world he is singing and writing into being. 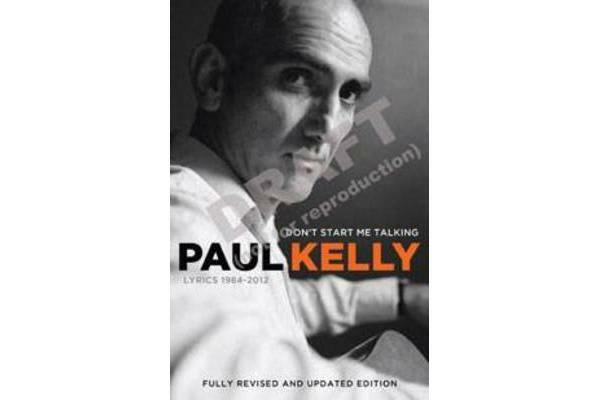 In addition to his lyrics, Kelly has written songs with and for many other artists, as well as his 2010 award-winning ‘Mongrel Memoir’, How To Make Gravy. The lyrics encompass his writing over two decades, from 1984 to 2012, and are grouped by album in chronological order. Also included are lyrics that have not been previously published.